Slavery, in any form, is an abomination of humanity. The idea that one person actually had the right, privilege, and opportunity to own another person is mind-boggling by any standard. That being said, it is no wonder that such an elaborate system was finally put in place to attempt to end it once and for all. Whether or not a slave could realistically and safely escape the torture of abuse and servitude was of little concern. It was understood and accepted that if a person didn’t escape, they might die trying. That’s where the Underground Railroad comes into play. Was the Underground Railroad underground? The Underground Railroad was not actually underground. It was called “underground” because it was not openly publicized. It was a secretive network of safe houses and routes of travel established in the U.S. during the early to mid-19th century. African American slaves used this network to flee to free states, Canada and Nova Scotia where they could escape captivity. Some routes also led to Mexico or overseas where slavery was prohibited. Although slave owners were white, not every white person agreed with the practice. Some of the abolitionists and their supporters were white. The term abolitionist refers to everyone who aided the fugitive slaves in their escape efforts. Early on, before it was a U.S. territory, there was an Underground Railroad escape route headed south to Florida. The Underground Railroad came to be in the late 1700s and reached its height between 1850 – 1860. It is estimated that 100,000 slaves had escaped via the secret network by 1850. What is now present-day Canada was a very popular destination and many freed slaves settled in Ontario. The Quakers are said to be the very first organized group to take action to help slaves escape. Isaac Hopper, a Quaker abolitionist was instrumental in setting up an escape route in Philadelphia. There was also a group of Quakers helping to free slaves in North Carolina. In 1786, George Washington scoffed that the Quakers had tried to “liberate” one of his slaves. How did the Underground Railroad Operate? 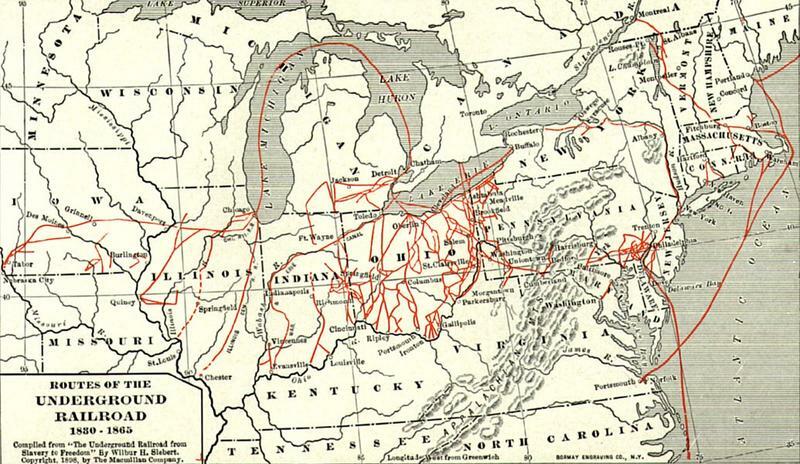 The Underground Railroad consisted of many routes spanning west through Ohio to Indiana and Iowa. Others headed north via Pennsylvania and into New England or through Detroit leading to Canada. Players, called conductors, would guide the fugitive slaves to safe hiding places. Safe havens could be anything from private homes and churches to schoolhouses. They were known as stations, safe houses, and depots. 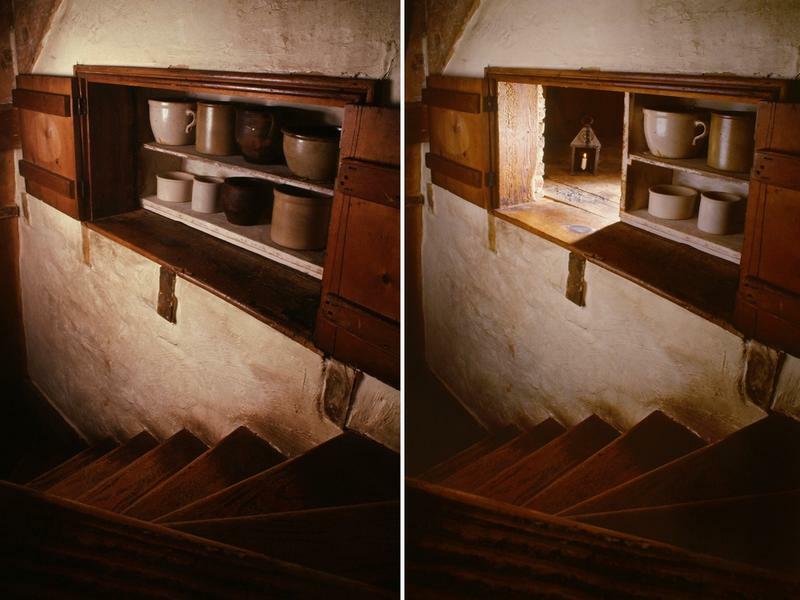 Safehouses were designed with hidden chambers in order to hide fugitive slaves. The abolitionists running these safe havens were referred to as stationmasters. 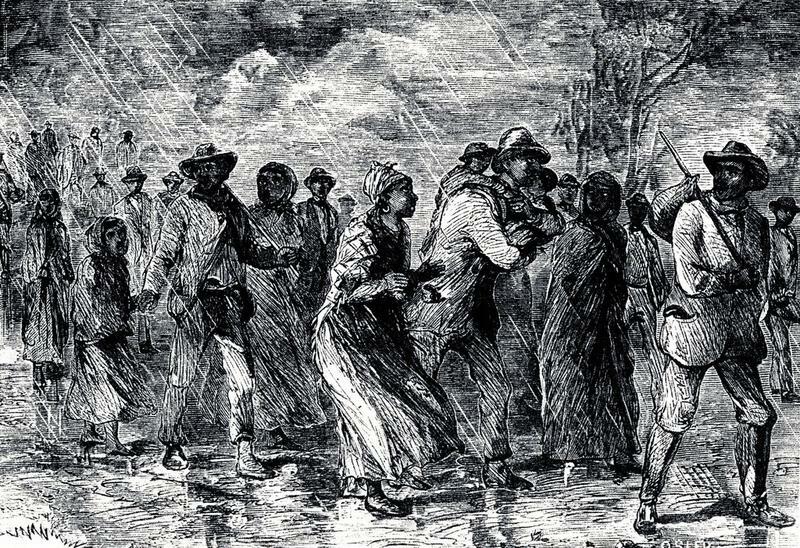 Underground Railroad conductors often risked their own lives posing as slaves to sneak onto plantations to free others. 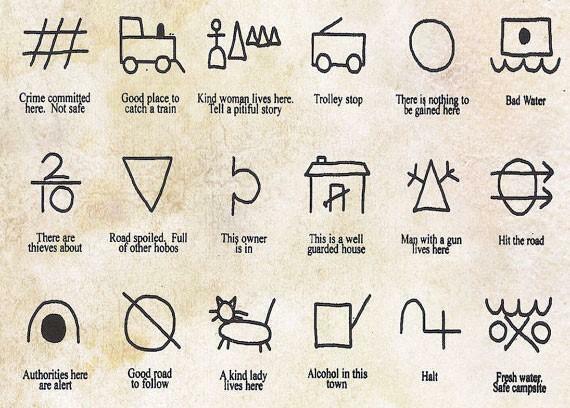 A series of symbols was developed as a code to fleeing slaves so they would be aware of their surroundings. Typically, the abolitionists involved in the Underground Railroad were privy to the operation only to the extent that they were involved. Not many of the activists involved knew the entire inner workings of the network. It was far too risky. If one of them had been caught and made to talk, it could have jeopardized the entire effort. Prior to the Underground Railroad, slaves would make their own attempts at freedom. Even after the network was developed, they were on their own until certain points north where it was safer for a station to exist. That being the case, the Fugitive Slave Act of 1793 was enacted. This act had slave bounty hunters coming out of the woodwork trying to cash in on the action. Throughout history, there have been many key figures including Harriet Tubman and Frederick Douglass who supported the Underground Railroad. Harriet Tubman was the most notable conductor supporting the Underground Railroad. Born a slave herself, she changed her name from Araminta (Ross) to Harriet (Tubman was her married name) after her escape from a Maryland plantation. She wasn’t discouraged enough not to leave again after she was caught and returned to her owner. Not long after she was returned, she escaped again and made it to Pennsylvania. Tubman periodically returned to the plantation she escaped in order to free other slaves. One slave who refused to leave the plantation was her husband who had remarried after her escape. 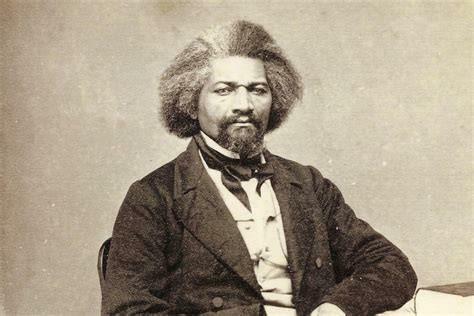 Frederick Douglass was a former slave and writer when he joined the Underground Railroad to hide fugitive slaves in his New York home. He was responsible for aiding 400 slaves safely to Canada. History tells us that others who aided in the Underground Railroad cause consisted of farmers, clergymen, business owners, politicians, and even a sea captain. A millionaire named Gerrit Smith, who actually ran for the office of President two different times, bought an entire family of slaves and set them all free. Helping slaves escape, however, was a dangerous practice. It was harshly frowned upon and was punishable by imprisonment. The Underground Railroad changed up their operations during the Civil War. Since the Union supported emancipating the slaves, the Underground Railroad became obsolete. Not because freeing slaves became less important but because at that point, they didn’t need to operate in secrecy. 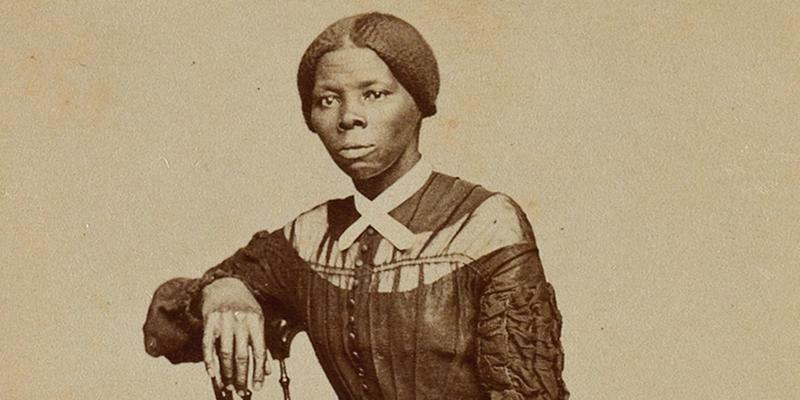 Because of the significant role Harriet Tubman played in the Underground Railroad, she lent her efforts to the Union Army in an intelligence command role to oversee operations to help emancipate slaves. She and Frederick Douglass have gone down in history as inspirational figures of the Underground Railroad.